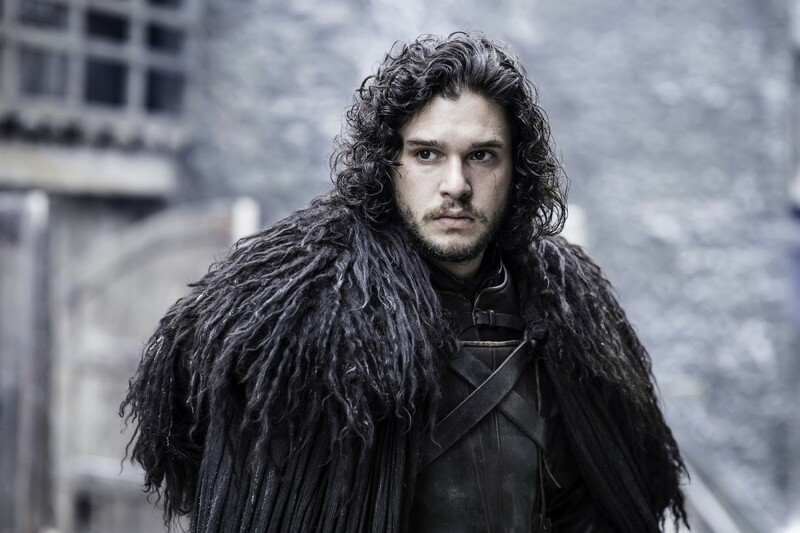 Clapton reminisces with Fashionista about her favorite Game of Thrones costumes, the tricky problem-solving her team tackled, Daenerys' internet-breaking coat and the truth about Jon Snow's fur cloak, which was actually not from Ikea (!). 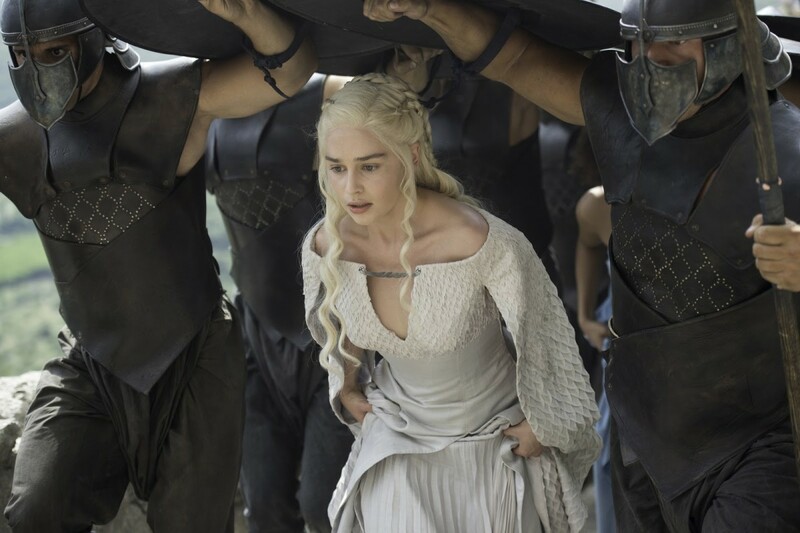 Arguably no series has captured the imagination of so many people or spawned an obsessive fanbase quite the way HBO&apos;s "Game of Thrones" has, and a large part of what makes the show so appealing is its lush, detailed sets and costumes. Michele Clapton, the costume designer during the series&apos; entire run (except for during season six when she took a break to design costumes for Netflix&apos;s "The Crown"), was the visionary behind many of the now-iconic looks. I&apos;ve had the privilege of speaking to Clapton several times about her team&apos;s creations since I started covering the show&apos;s fashion right here at Fashionista back in 2013. We&apos;ve discussed everything from the Purple Wedding (RIP Joffrey!) to Sansa&apos;s own ill-fated wedding to the terrible Ramsay Bolton to Daenerys&apos; love of deep-Vs with straps to Euron Greyjoy&apos;s knockoff Rick Owens coat. Now, in this wide-ranging conversation with Fashionista, the Emmy-winning costume designer looks back on eight seasons of the show, telling us about her favorite looks, how she and her team got through some sticky situations and who got to keep pieces of their costumes. Do you have a favorite costume from the whole series? I&apos;m divided, really. 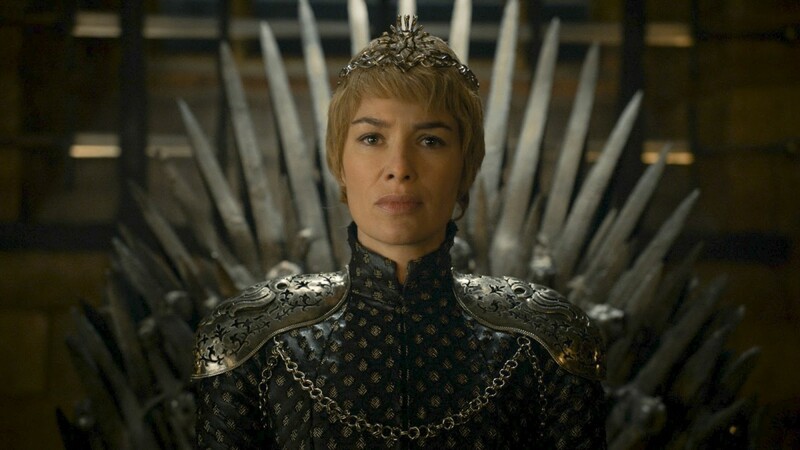 I love Cersei&apos;s coronation dress [season six finale] because of the weird relationship it [symbolized] with her father. In some ways it was an homage to him, but in some ways, it was mocking him. I loved the way her crown had the sigil in a really clear, minimal way, which I felt indicated how she was going to move forward, in these really clean strokes. There was no room for all that went before. It was a very different approach. I liked the structure, I liked the simplicity of it, I liked everything it said without saying anything. In a funny way, that was sort of my comeback outfit, because I&apos;d left [during season six], and that was the one I came back with. Lena [Headey, who plays Cersei Lannister] and I just loved doing that costume together. What was your other favorite? In a funny way, although there are others as well, Dany&apos;s fur coat. That&apos;s because it was suddenly such a shock. I felt like this was her dressing to rescue someone because she felt for them, rather than as a move to acquire more power. It was a romantic coat; it was something she wanted to wear that she&apos;d be noticed in. She was like a descending angel. It was nothing to do with her personal gain. And it was very practical, because she&apos;s riding a dragon. We also really enjoyed doing it in the workroom because it was such a complex coat to create. It took months to develop. I relied on the abilities of others on my team to create something I had drawn with really no idea of how we could make it, except I knew how I wanted it to look. It was just an intense piece to make. Were you surprised by the internet&apos;s reaction to this coat? I was passionate about that coat. When they saw it they went, "Whoa, okay." When it walked onto set the first day, even other crew standing around were going, "Oh my god, what is that?" I think Emilia felt very special that day. And fans have been making amazing copies of it. It&apos;s not easy to copy. Did any of the cast want to keep certain parts of their costume after the show ended? Sophie [Turner, who played Sansa Stark] really wanted her corset, and Dave and Dan [the showrunners] thought she should have it. We were very happy to give it to her because it was something she always wore. People took little bits and pieces. I think Dave and Dan took pieces they particularly liked. Lots of people wanted lots of stuff, but we&apos;re not allowed to give it away. It belongs to HBO and it all goes into exhibition and archival work. Do you have any stories about an adventure trying to source or make pieces? A lot of those big group things, like the Unsullied, take a while to get to where you need to be, to solve all the problems when you&apos;re fitting masses of people. 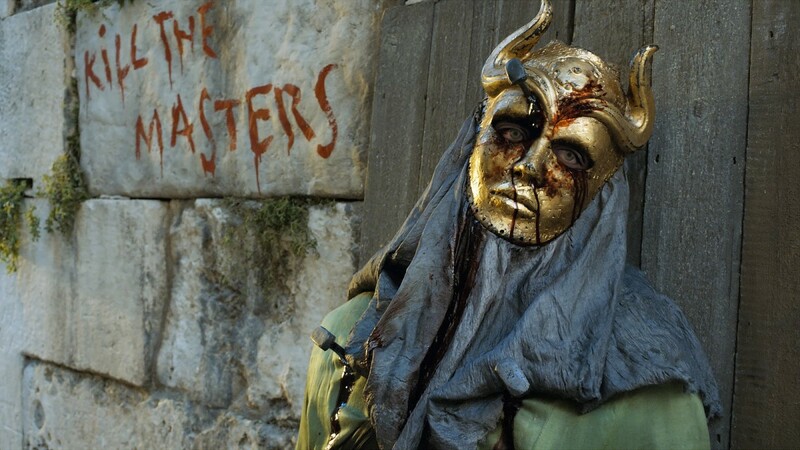 The gold masks the Sons of the Harpy wore when they attacked and killed everyone were actually particularly difficult. I wanted them to look handmade and we had to make many of them. I found these lovely papier mache masks, and they had all these different facets on them. We approached a company who did 3-D printing; we sent in drawings and told them how we wanted them to look with lots of artwork and they created them. They were brilliant, but looked computer generated. I remember sanding them and trying to make marks in them, trying to break them down and removing certain elements. It was so intense trying to make them look liked carved masks, and then gilding them and painting into them. Then I realized I didn&apos;t want to see the eyes and so we had them put mesh behind. And THEN realizing, &apos;Actually, I don&apos;t even want to see the heads,&apos; so we applied hoods. The people who were wearing them felt like they became invisible; they behaved very differently once they were on. It empowered them to behave badly. What costumes did the actors like the best? I&apos;m sure Maisie Williams [who played Arya Stark] was sick of wearing that dirty outfit for so many seasons. Maisie was really fed up with her costume. Towards the end, she was so happy to wear something new and we worked so hard to get her look to reflect the person she was. One of my favorite things is the cape she wears, like she slashed away the front — it was almost like she&apos;d drawn her sword and slashed away to make it work for her. It was lovely to see her so excited about a costume and for it to be so right for her. No, it wasn&apos;t. It was Samwell [Tarly&apos;s]. In the first two Night&apos;s Watch scenes we ever see before we meet the Starks, they were wearing Ikea cloaks. We really didn&apos;t have much money; no one knew at that time where the show would go and we were desperate. There&apos;s an Ikea right next to the studios in Belfast, and I was browsing there one day trying to buy something for my apartment and I went, "Wow look at these amazing wool rugs!" Our breakdown [team] attacked it and shredded it and waxed it and dusted it and then we added two leather straps. They were used through the series. And sometimes I like that, I like that you have to go find something and make it work. Can you tell me about a time you had to improvise at the last minute? There was an issue with Oberyn [Martell, played by Pedro Pascal]. I loved Pedro, he was such a cool guy and he came in and he instantly stepped into this cross-dressing sort of character, but he wore it in such a masculine way, he just adapted it. 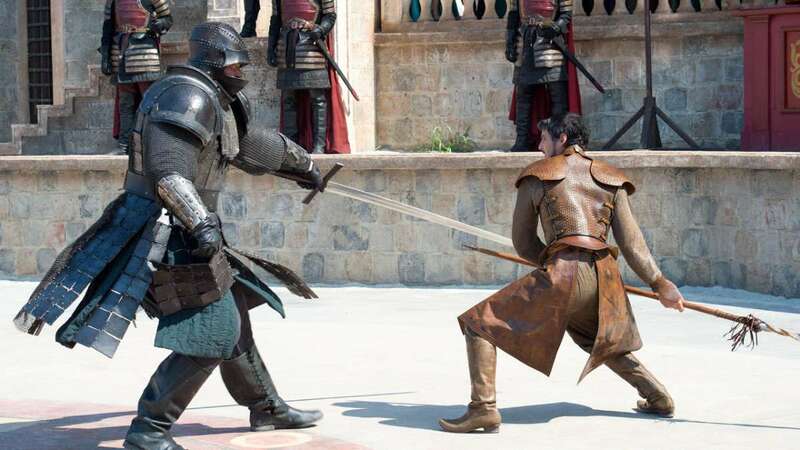 There was a really big fight scene with the Mountain. It was an incredibly complex fight and we gave him leather armor which we felt could move really well. He was fine, but on the morning of the big fight — I think it was just the overwhelming nature of the heat and the idea that this fight was going to happen — he suddenly said, "Michele, this is too stiff, I can&apos;t move, I don&apos;t think I can do this fight." I think it was nerves. And at that phase you have to help your actor — they have to do this. So I just took it off. We had lined it in another layer of leather and I just ripped it out and said, "OK, we&apos;ve taken a layer out, how does that feel now?" It didn&apos;t actually change it much, but the idea of pulling it out and letting him see us rip it out — t was something to do with giving him confidence. You have to work with your actors. How do you feel about the end of the show? It was really emotional. I was incredibly relieved but also had incredible sadness. It&apos;s great that there are prequels, but I don&apos;t think any of us wanted to be involved in those because we felt that this concluded our journey. When I watched season eight, it made me feel really emotional. I grew so much as a designer by doing something for that length of time with such a great crew. It was a privilege. Here's everything you need to know about Arya's transformation, Daenerys's bespoke jewelry and that unusual prostitute dress. Leather thorns! Hand-rolled roses! Hair sausages! All the details about the Purple Wedding looks, straight from 'Game of Thrones' costume and hair designers.